öKO-TEST is Germany’s most prestigious consumer advice magazine. Started by leading consumer journalists in 1985 it has a strong emphasis on consumer safety and health. All products are tested by independent labs and reviewed solely based on their effects on health and the environment. Both natural and mainstream products are tested, so they’re all on a level playing field. 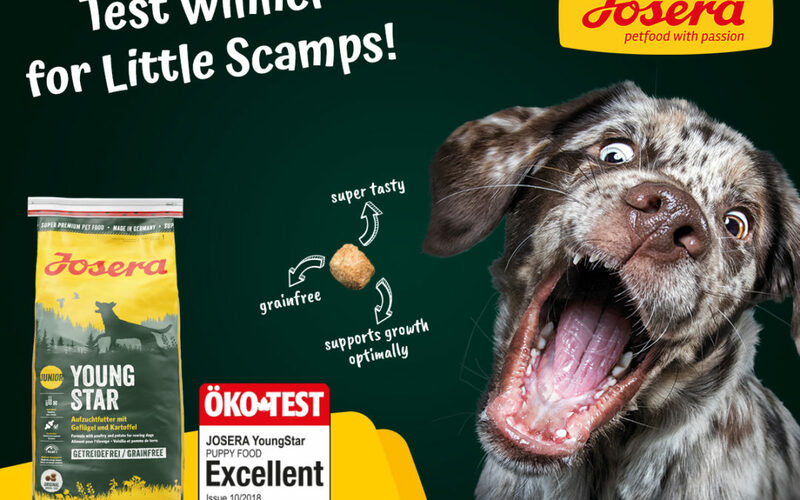 Owners of a new puppy are understandably anxious about feeding their fur baby, so it is good news that grain free YoungStar by Josera was rated “excellent” by OKO-TEST. Tested against 11 other puppy foods, YoungStar was praised by the magazine for its ingredients – especially the valuable omega-3 fatty acid DHA derived from algae. Studies show that the trainability of young dogs is better if they have received DHA in early puppyhood. YoungStar is carefully made without undesirable ingredients such as soy, wheat, artificial colourants or contaminants such as glyphosate, some of which were detected in tested foods from other manufacturers. 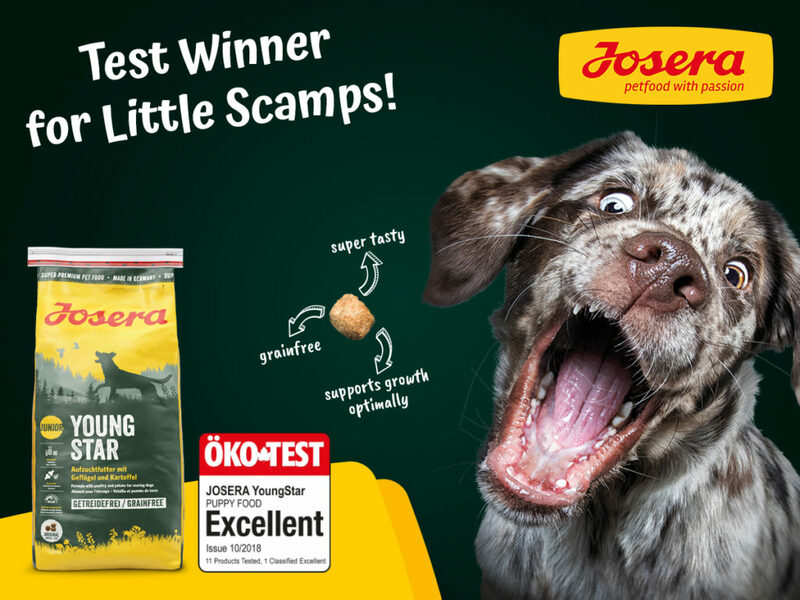 JOSERA YoungStar is a natural, grain-free and easily digestible puppy food with tasty poultry meat and is suitable for young dogs from their 8th week. A balanced calcium-phosphorus ratio and vitamin C as well as manganese and copper in an easily absorbable (organically chelated) form support a strong bone structure and healthy joints. JOSERA YoungStar is particularly suited to dogs that require grain-free nutrition and have normal levels of activity. Caption: Josera Youngstar receives top award.